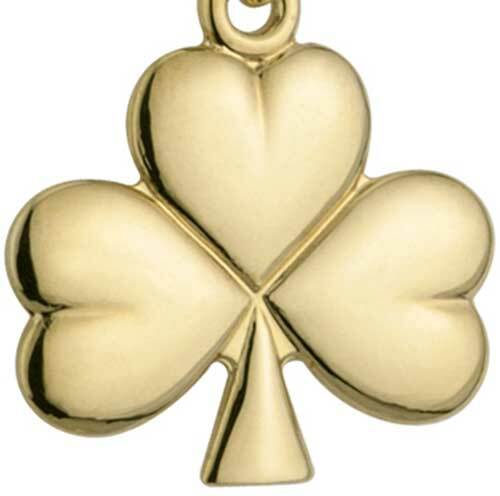 This 14K gold shamrock necklace is a traditional design that measures 1/2” wide x 3/4” tall, including the jump ring and the chain bail. 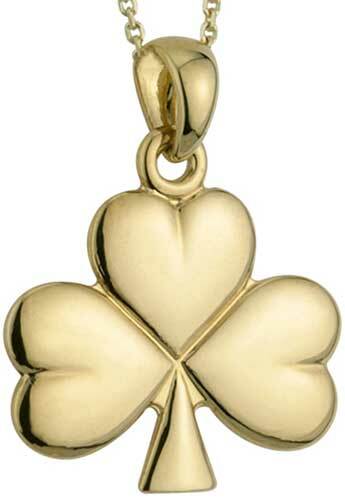 The shamrock pendant includes an 18” long 14K yellow gold chain. Shamrock stud earrings feature 14K gold construction along with a double sided design.